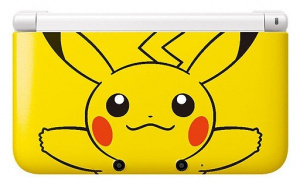 Pikachu 3DS XL Coming to Europe "Later This Year"
Can you resist its charms? Do you remember when a Pikachu 3DS XL was released in Japan earlier this year, prompting long lines and pandemonium as it arrived? 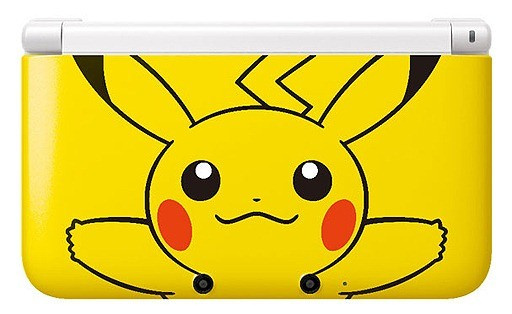 We may see similar scenes in Europe, to a lesser extent, as Nintendo of Europe boss Satoru Shibata has confirmed that the cutest 3DS XL around is coming to the region later this year. There'll only be limited quantities, of course, though if you're unlucky you could console yourself with a white 3DS XL, also on the way and bundled with Mario Kart 7. We may not get all of the most awesome hardware bundles that Nintendo fans enjoy in Japan, but these are better than nothing. No news yet of an equivalent offer in North America, but we'll keep our eyes peeled. So, who wants one? No, not the ugly Pikachu one! I still think the white completely wrecks it. Why was it not black? I want the all White XL, but alas, I live in lowly United States ;( lol... If they do bring that White bundle here, I'll pony up for it even though I already own MK7. The digital copy would be just fine to own as well. "Bundled with Mario Kart 7", indeed it is in a sense but that makes it sound like a physical copy is included. I believe he explicitly said the game was pre-loaded on the limited edition white 3DS XL system. Pikachu I would buy you a transatlantic ticket in a heartbeat! I hope they eventually do some fun editions of the regular 3DS - I carry mine in my pocket everywhere so I'm much more of an XS rather than XL person when it comes to handhelds. Waiting for silver or white XL for NA, but Pikachu edition will do, if it ever makes it over. Seems pretty good to me. I still would like to see some of the other colors, though. as i understand it, the shell of the original 3DS is harder and much more expensive to customize. come to NA!! !i am a HUGE POKEMON FAN!!!! I knew it.... Same as with the 3DS. I wanted a white one...but am inpatient and bought a blue one...Now i have a red XL...and wanted a white one FROM THE START!!!! I really wish I waited for this. think i'll try to get one and keep it sealed. This will surely be a sought-after collectable in a decade or two. i waited on the 3DS XL exactly for this reason !! !